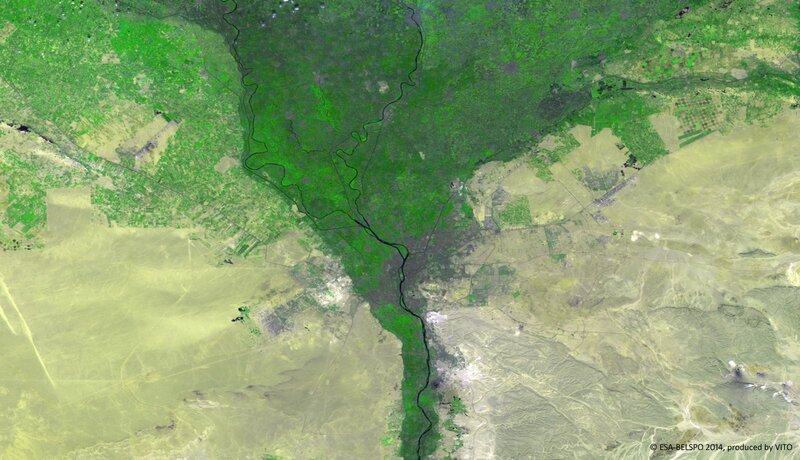 The Nile Delta in Egypt has already been a very dynamic area for ages. Between 2014 and 2018 the area has changed quite significantly, which was nicely captured by PROBA-V for its February 2019 calendar image. The animation shows 100 m PROBA-V images of 30 December 2014 and 19 May 2018. 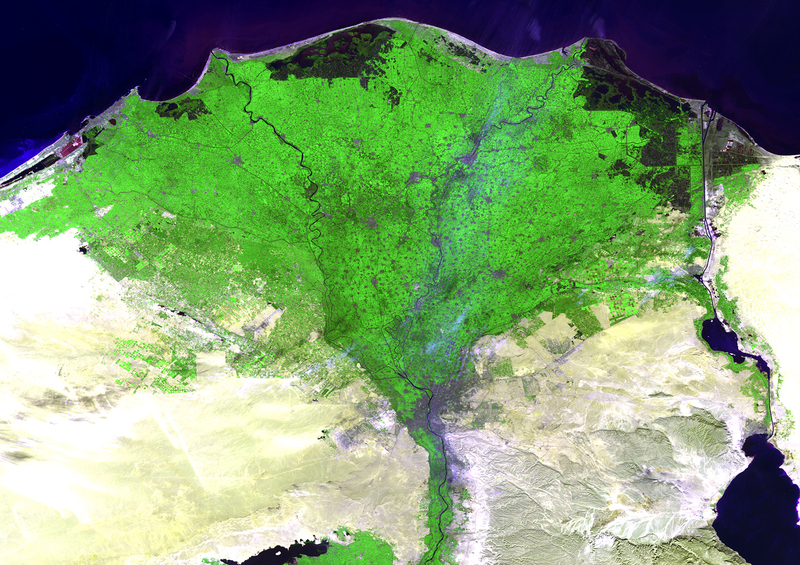 A large anthropogenic change that occurred in these 3.5 years and is clearly visible to the very right is the construction of the second Suez canal, which was completed in 2015. Further changes are pivot irrigation fields replaced the dry desert in the eastern part of the Nile Delta, while in the western part the opposite occurred. Finally, on both images the numerous cities and villages contrast with the green vegetation background as grey splotches.